The Zomba Prison Project's second album once again lays bare the lives and thoughts of the residents of Malawi's only maximum security prison. It's hard not to be moved by the Zomba Prison Project. The project's first release, in 2015, earned Malawi its first Grammy nominee by bringing the world raw, fundamentally unaltered recordings of songs from prisoners and workers at the nation's only maximum security prison, an overcrowded facility that holds inside it everything from double murderers to prisoners accused of homosexual acts and witchcraft. From its conception, the project has unquestionably been about raising awareness of the plight of these prisoners, but it also serves as an incredible musical feat, offering the kind of insight that most people never realize they're missing into a culture that is easy to ignore. 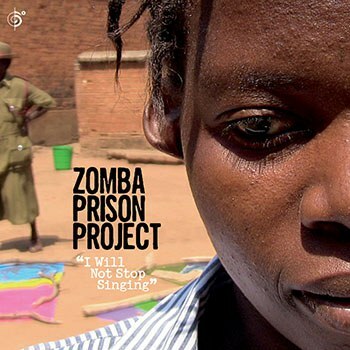 The Zomba Prison Project's second album, I Will Not Stop Singing, continues the work with another set of tracks that lay bare the lives and thoughts of Zomba Prison's populace with heart-on-sleeve track titles like "I Will Never Stop Grieving For You, Wife" and "AIDS Has No Cure". There's not a lot of unconditional joy to be found here, as is to be expected in a place where lack of government funding once left the entire prison without food for three days, but there are notes of contrition, hope, and searching for a silver lining in the hymn-like "Protect Me" and the closing chorus of "Sharing Joy". On most tracks, acoustic guitar chords and snaps or claps are the only accompaniment to the impassioned voices, and that's more than enough. "Sister, Take Good Care of Your Husband" stands out as an a cappella track during which solo singer Elias Chimenya hits a precarious high that will make your heart ache. Opener "I Am Done With Evil" is lush in comparison, with a single drum and guitar backing up the penitent singers. Things get more upbeat on tracks like "Leave My Daughter Alone", a march that features electric guitar and bass, and "Take Care of Yourself", a short, warm track with a full complement of drums that picks up the tempo but fades out just as keys start to join the group. The most cheerful moment, though, is in the hidden track tucked away at the very end. All of 56 seconds long, it incorporates electronic keys that turn it into a minimalist spiritual. There's a documentary feel to the whole album, only to be expected with the involvement of documentarian Marilena Delli (her husband, Ian Brennan, acts as producer and has also worked with acts like Tinariwen), and that's mostly to the project's benefit. Certainly, the focus on solo singers and small groups, most of whom have never been professional musicians or musicians at all before this album, adds authenticity and ensures this album's cultural significance; these performers aren't likely to show up on other albums outside of the project, no matter the lengths of their sentences. It also, however, means that quite a few songs are just snippets. They are good snippets, to be sure, but often ones that sound like they've been faded out to make up scene transitions rather than because they're over. There's more to this music than we get to hear, and it frustrates. On an optimistic note, the Zomba Prison Project actually does benefit some prisoners, rather than exploit them. In addition to drawing attention to the prison itself with these recordings, part of Brennan's and Delli's work has been to have some of the more questionable cases reviewed and appealed, which has been successful at least a few times. It's a good thought to have while listening to an album made under such sad circumstances, a reason to read hope in between the lines of each track. In the end, Zomba Prison Project is undertaking a journey of preservation as fine as anything a Lomax ever put together, and bringing one of the most overlooked groups in the world into the spotlight for at least a few minutes.